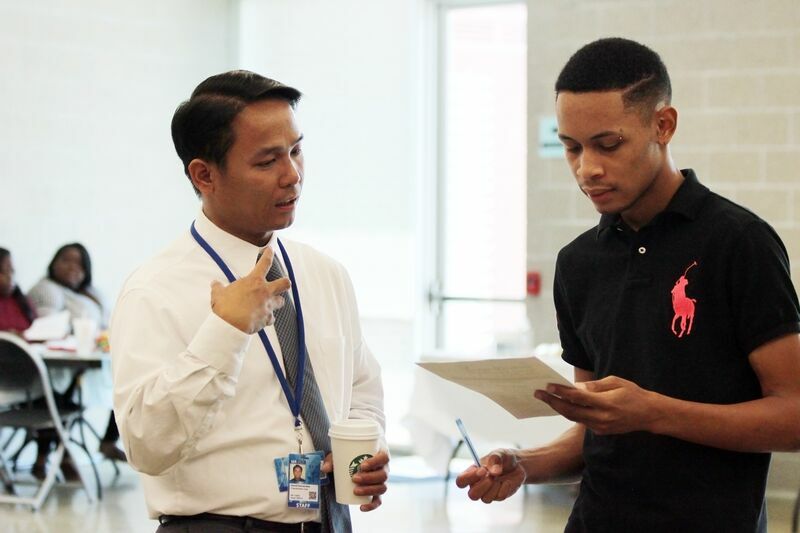 Hire Houston Youth offers youth ages 16 to 24 internship and job opportunities at public and private employers throughout the Houston area. All positions offer at least 7 weeks of employment, and employers are asked to compensate youth at least $8.00 an hour. Most opportunities begin June 10, 2019 and end August 1, 2019. The application will open February 11, 2019 and will close April 6, 2019 for City of Houston positions and May 3, 2019 for Nonprofit and Private companies. However, keep an eye on our website, as additional opportunities and supports will appear when available throughout the year. 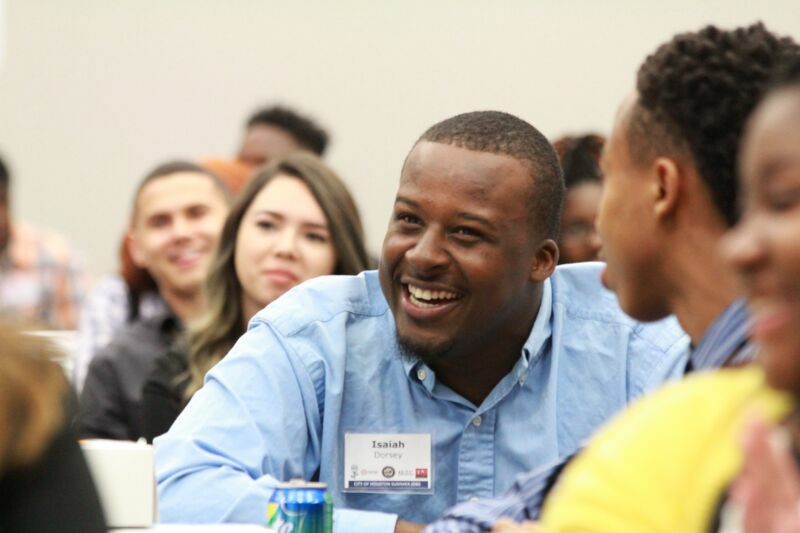 Hire Houston Youth, in partnership with the McDonald’s Owners/Operators Association of Greater Houston, hosts various hiring events open to all youth ages 16 and up. These events are open to the public and do not require applicants to pre-register or be pre-screened. Youth MUST bring documents to prove their eligibility to work. To view a list of acceptable documents click here. Your email address is one of the first ways you make an impression upon potential employers. Make sure you make a great first impression with a professional email address. If you need to create a new email, you want to create an email that is easy for you to remember. You can sign-up for a free email account through a web-based email provider (Gmail, Yahoo). Once you create your account, remember to check your account frequently and respond promptly to potential employers. Make sure you have the necessary documents to be employed. 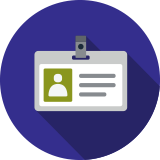 When you apply for jobs, you will be asked to present certain documents like your birth certificate or social security card / ITIN number. Below are some useful links to help you get the documentation you will need. If you don’t have one, you can apply for one at http://www.ssa.gov/ssnumber/ or search for a Houston-area SSA office near you at https://secure.ssa.gov/ICON/main.jsp. If you don’t have one already, visit https://www.dps.texas.gov/DriverLicense/applyforID.htm for instructions on how to obtain one. You may also provide your birth certificate as proof of age if you do not have a photo ID. Make sure you have work appropriate attire. The way you dress says a lot about the type of employee you are. If you’re not sure what your employer’s dress code is, it is a good idea to ask before the first day of work. I completed an online application or came to a job fair. Will I receive a job? I completed my online application. What next? Do I need to come to the job fairs if I completed an application online? Maybe! Due to an overwhelming number of applications, we cannot guarantee you a job or internship. This is a competitive process, so we recommend completing a stellar application and brushing up on your career readiness skills – like interviewing and creating a resume. Once the application period is over, HHY reviews the applications. If selected for the next round, you will be invited to attend a mandatory job readiness training. If you advance to the next round, you may be invited for an interview if requested by the employer. If you receive a job or internship offer, you will receive a notification. Please continually check your email as this is how HHY will contact you for next steps. We appreciate your patience as we complete this process. It is not necessary if you applied for positions online. The opportunities available at the job fairs are different than the jobs available through the online application system. Please contact us through the website if you have any questions about your online application.